DICKINSON — Sheila Kay Cofer, 65, Dickinson, died Feb. 13, 2014, at St. Benedict's Health Center, Dickinson. Mass of Christian burial will be held at 2 p.m. MST today, Feb. 18, at St. Patrick’s Catholic Church, Dickinson, with the Rev. Todd Kreitinger and the Rev. Tom Grafsgaard as celebrants. Interment will be at St. Martin’s Catholic Cemetery, Hazen, on Wednesday at 11:30 a.m. CST. Visitation will from 8 a.m. to noon MST today at Ladbury Funeral Service, Dickinson, and will continue one hour prior to service time at the church. Sheila Albers was born Feb. 20, 1948, in Hazen to Ervin and Clara (Dolan) Albers. 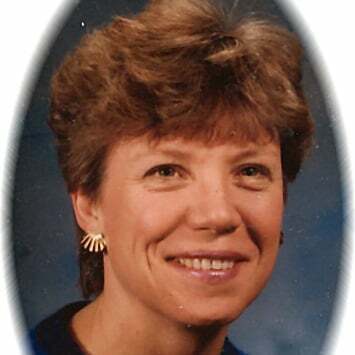 After graduating from Hazen High School, Sheila attended college at UND and then Minot State, where she graduated with a degree in secondary education in 1971. Later, she furthered her education in library science. Sheila married the love of her life, Rocky, on Sept. 6, 1969, at St. Martin’s Catholic Church, Hazen. They lived and taught in Bowdon, Elgin and Glenburn before settling in Devils Lake in 1980. Sheila shared her love of reading and books while teaching and becoming librarian at St. Joseph’s Elementary School, the North Dakota School for the Deaf and Central Middle School, all of Devils Lake. Sheila is survived by her husband of 44 years, Rocky, Dickinson; four children, Josh (Vickie), Dickinson, Sarah (Andra) Hargrave, Erie, Colo., Holly (Robert) Ferguson, Devils Lake, and Ryan (Andi Thoreson), Fargo; nine grandchildren, Alexa and Jace Cofer, Alyssa, Astraea, Kayan and Geneva Hargrave, Dashiel and Riordan Ferguson and Bowie Cofer; two sisters, Peggy (Jerry) Bodine, Hazen, and Beth (Evan) Albers-Jones, Winnipeg, Manitoba; one sister-in-law, Peggy Albers, Atlanta, Ga.; one brother-in-law, Colin (Becky) Cofer, Colfax; her sisters-in-law, Robbyn (Jerry) Weinberger, Breien and Becky (Tom) Hauge, Carson; and many special cousins, nieces, nephews and friends. She was preceded in death by her parents; one brother, Rick Albers; and special cousin, Kathy Kessler.